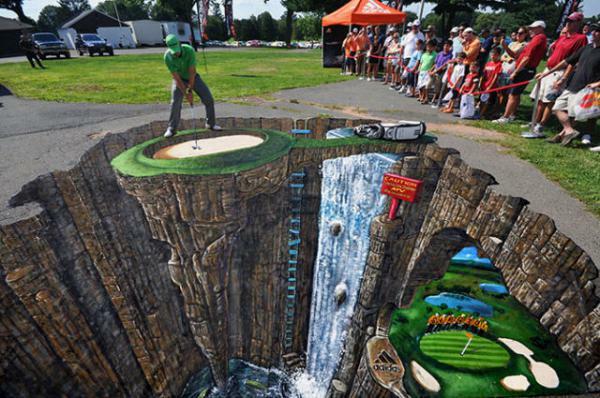 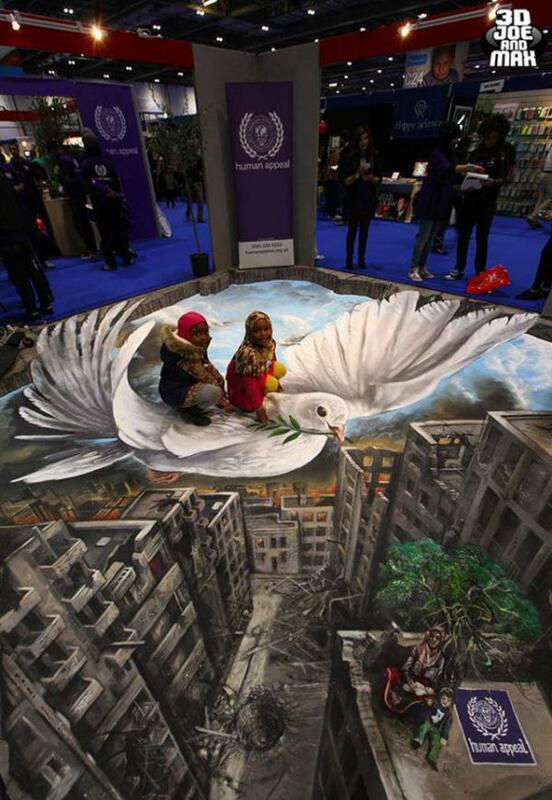 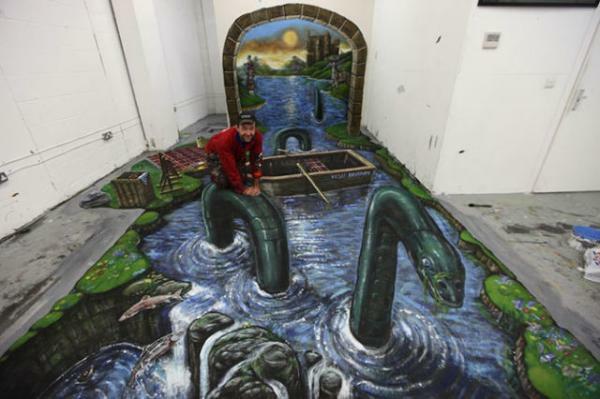 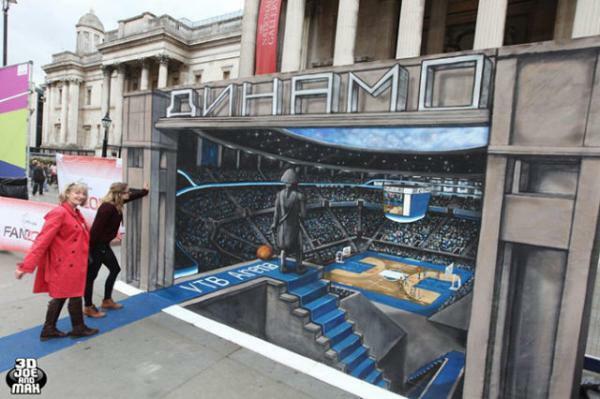 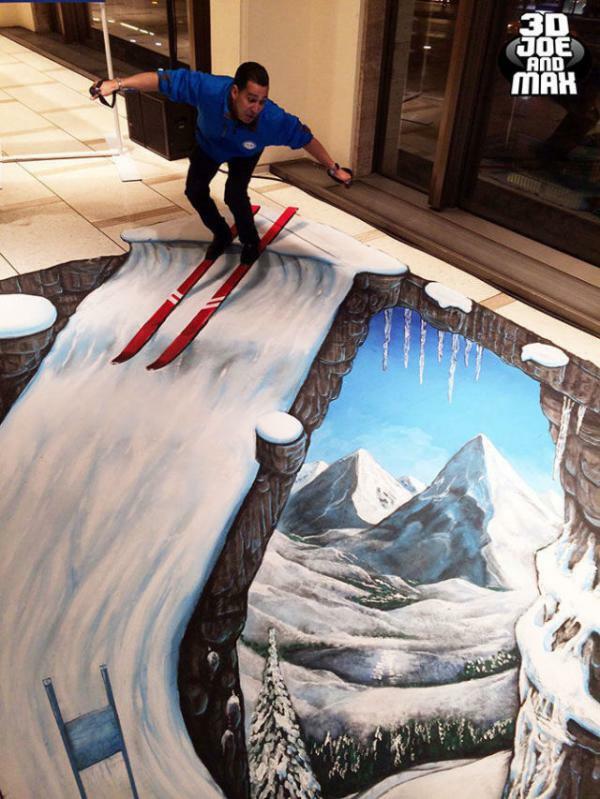 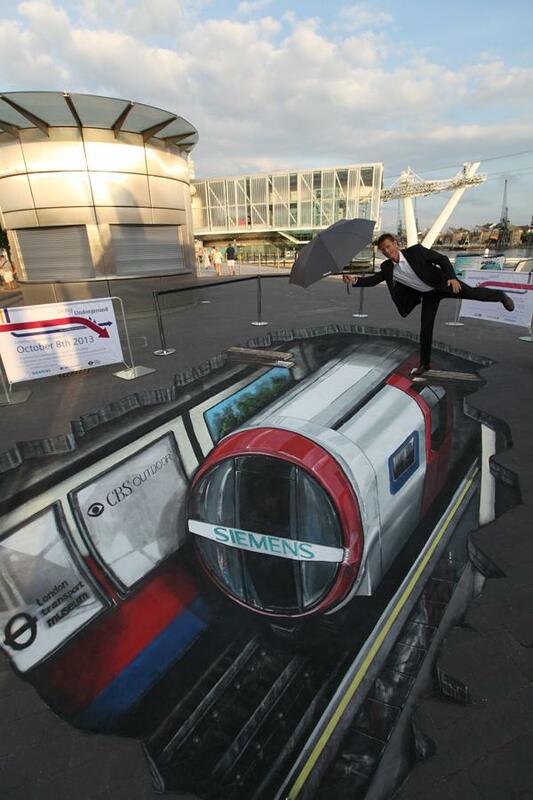 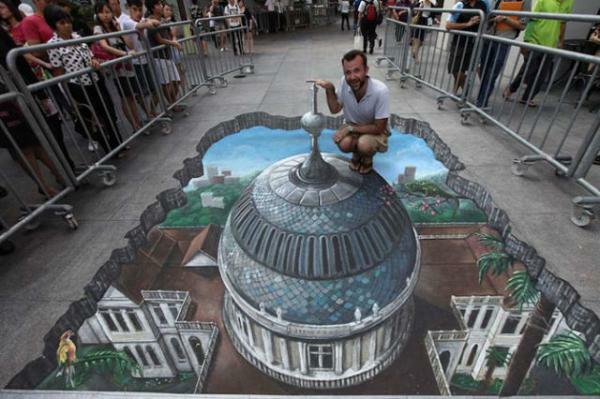 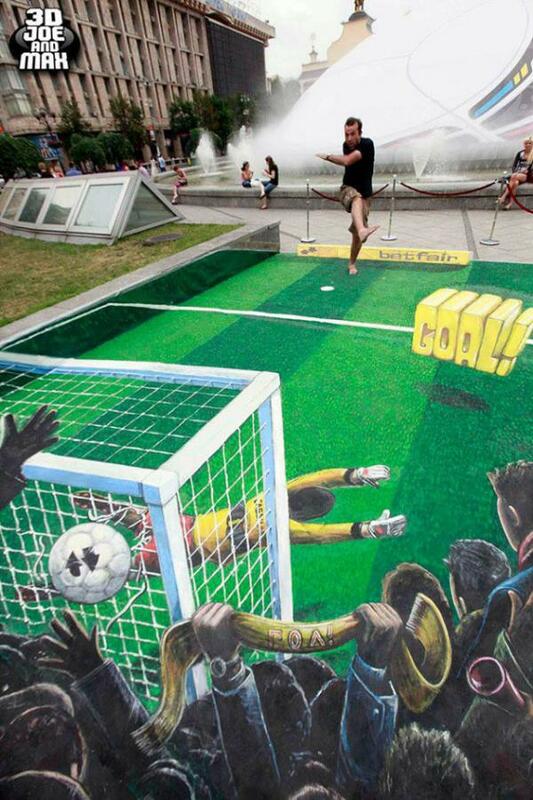 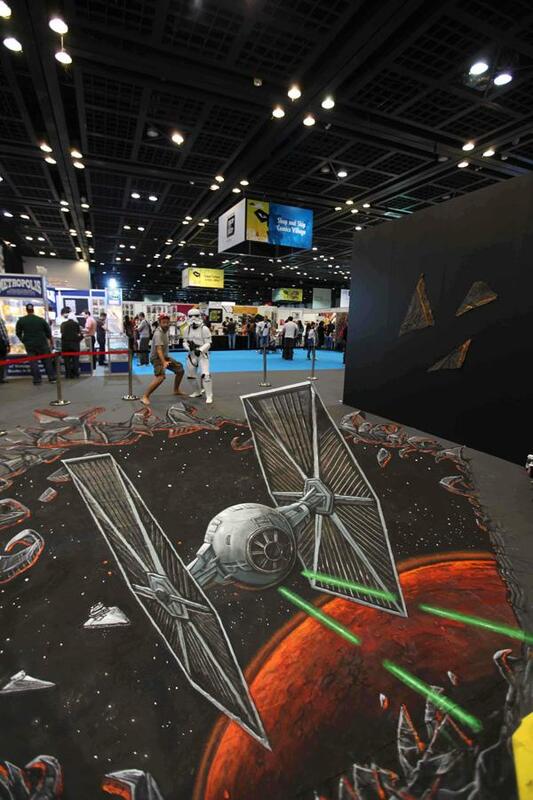 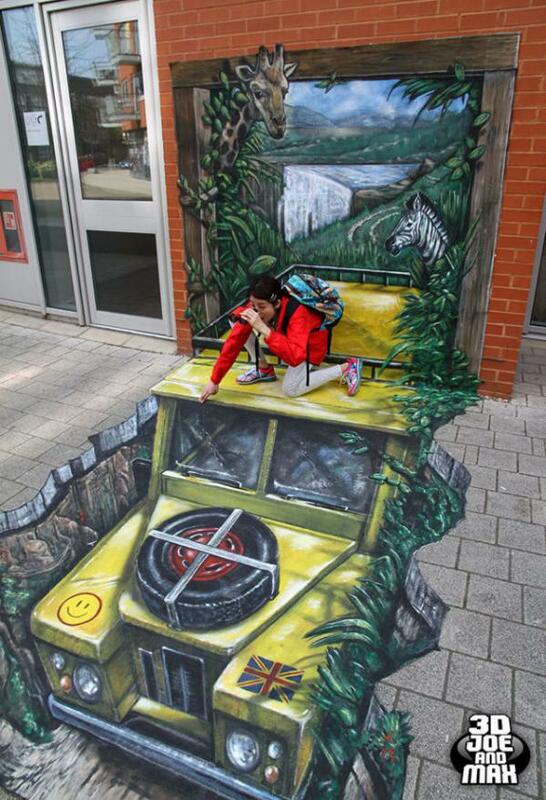 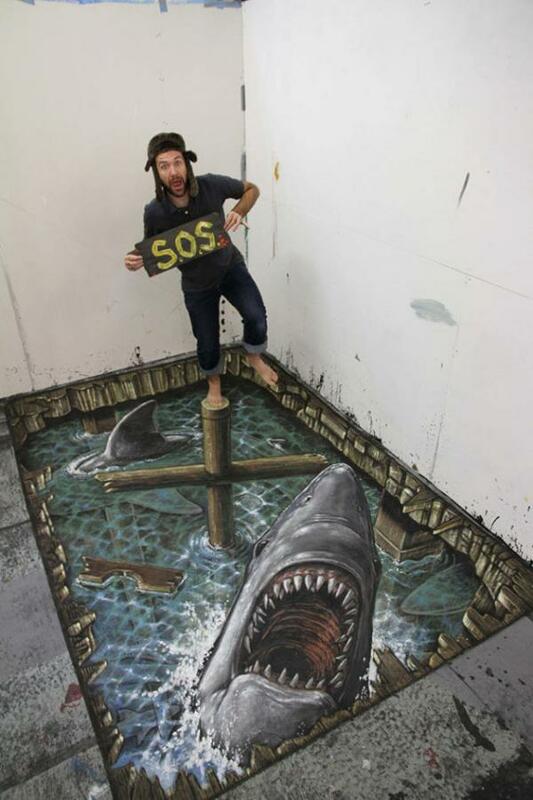 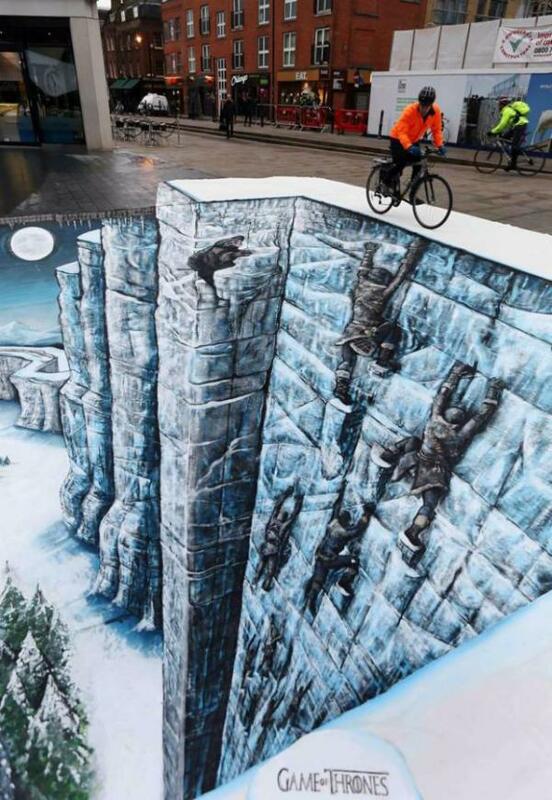 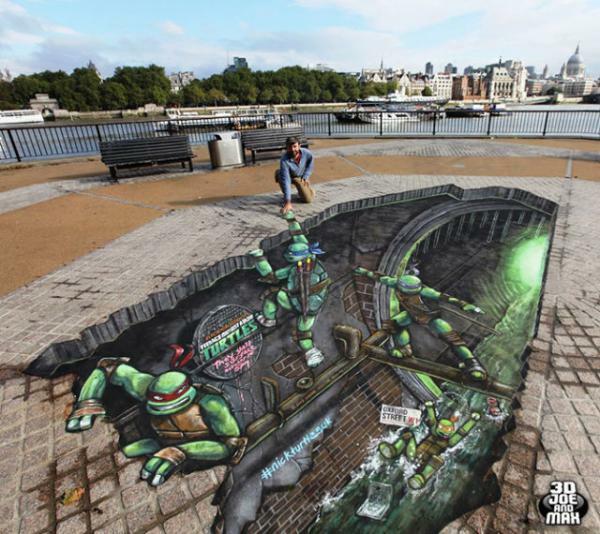 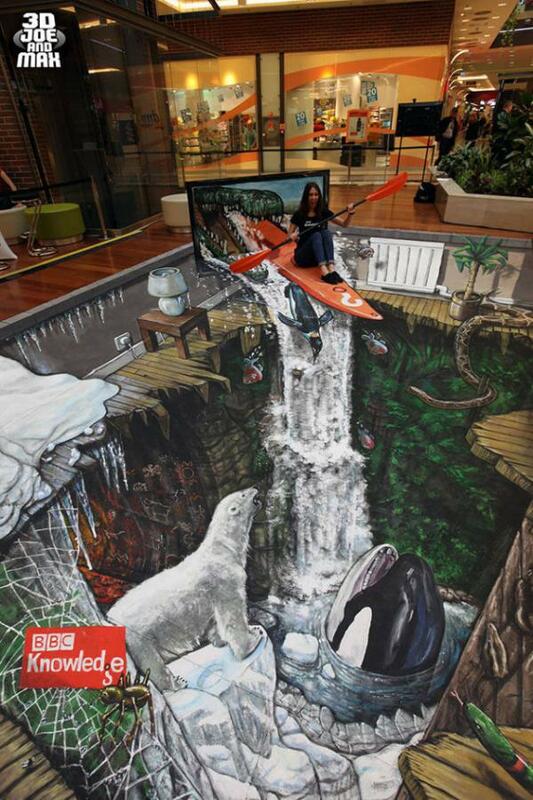 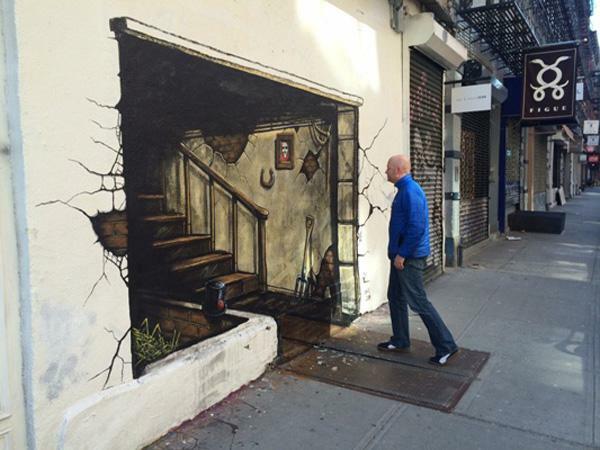 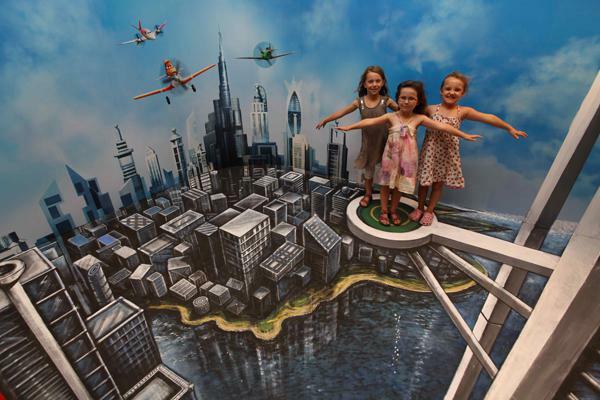 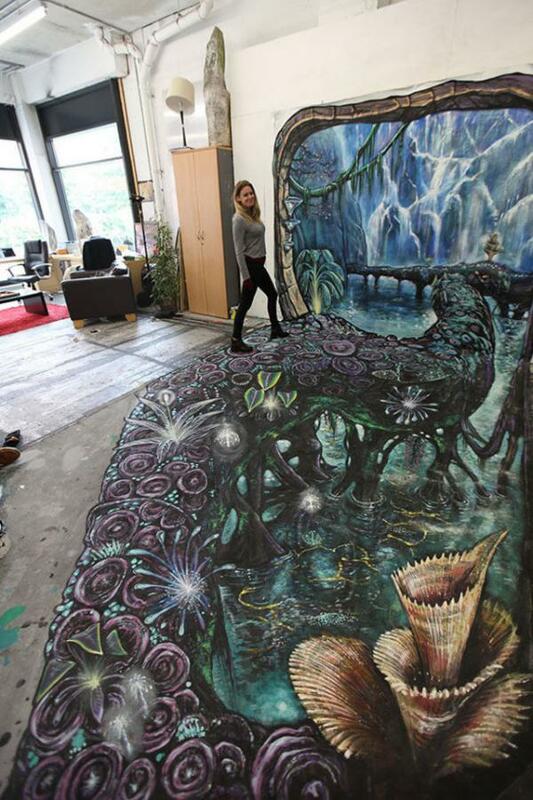 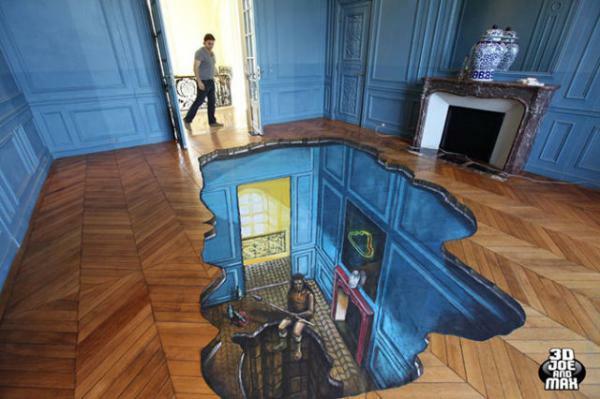 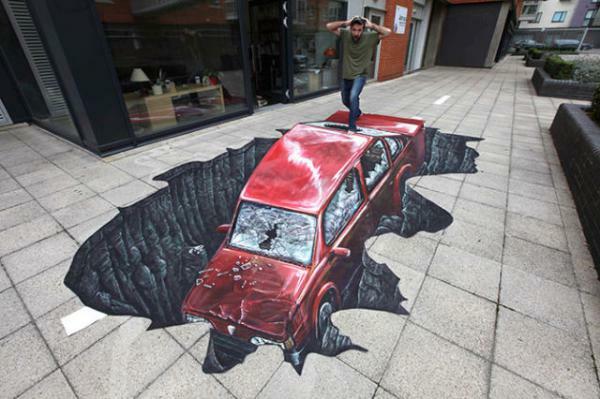 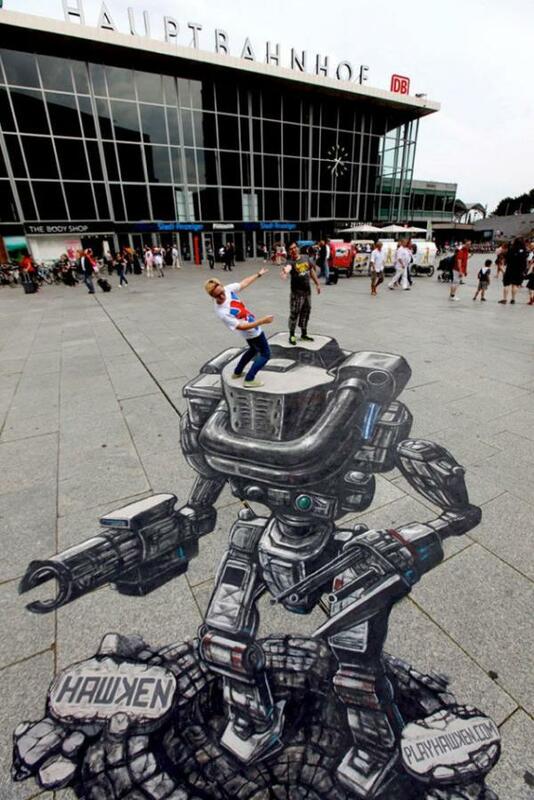 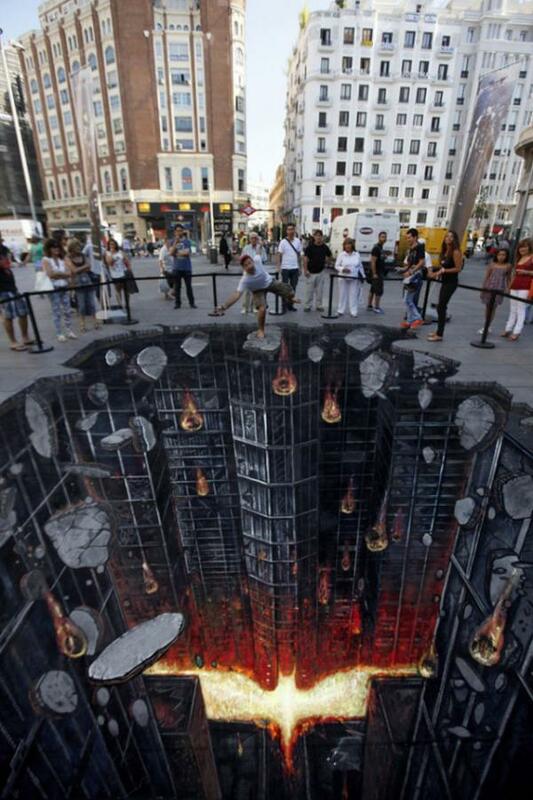 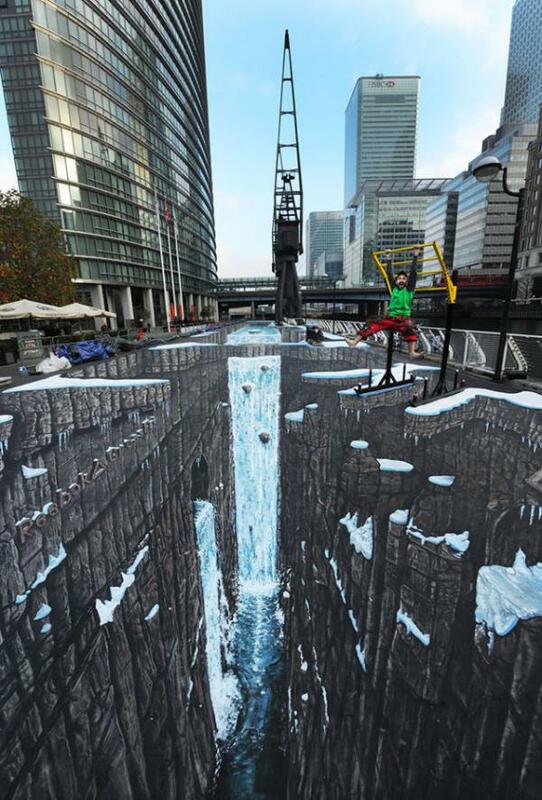 3D Joe and Max is a studio formed by professional street artist Max Lowry and Joe Hill, creating creating giant optical illusive pavement and chalk art using using chalk, paint and their creative ideas. 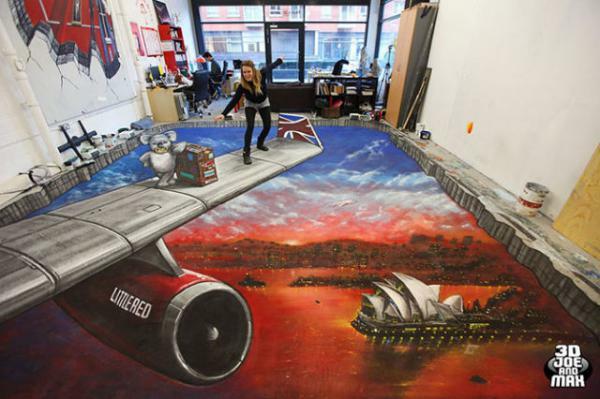 Unfortunately, one of the artists Max was killed in a tragic attack that took place 4 years ago. 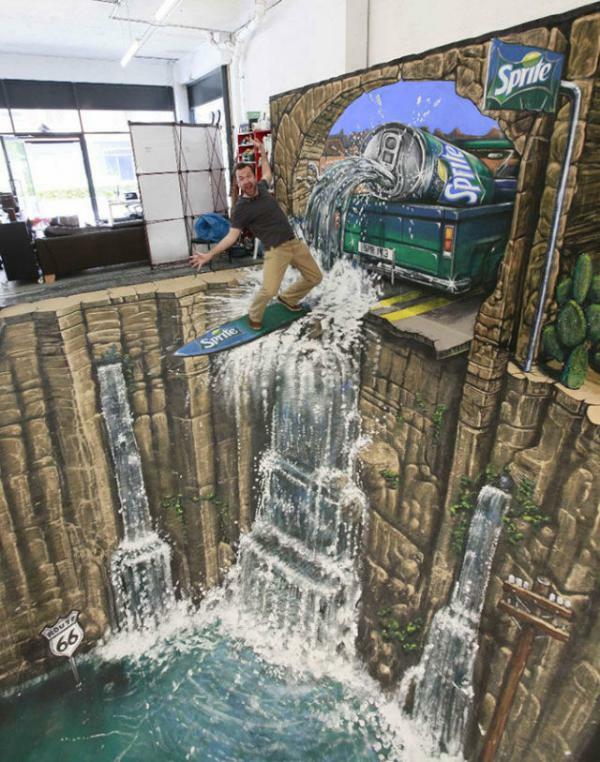 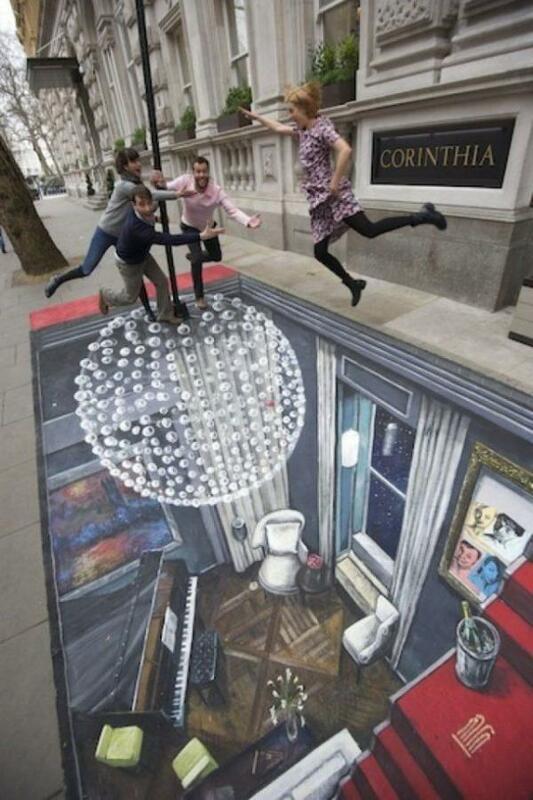 Joe continues their shared legacy and traveled almost all over the world and created all the spectacular 3D street art.